Gain super-quick, fully-automated, blipped and entirely clutchless downshifting by simply pressing your gear lever, as normal. 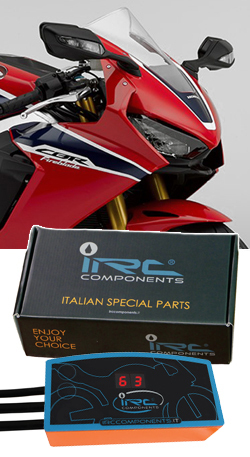 Benefit from the same technology as supplied direct from IRC to motorcycle manufacturers and race teams at all levels, up to MotoGP. 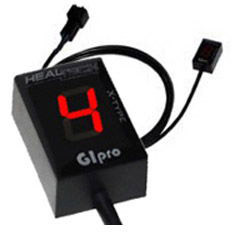 Easy to install and completely plug-and-play to all the original OEM connectors on your bike and with ultra-reliable load-cell (strain gauge) shift rod sensor. 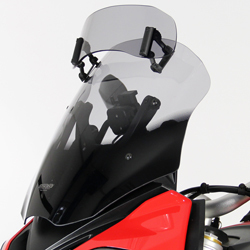 If your bike already has an original equipment factory-fitted Quickshifter, this kit's included shift rod sensor will continue to activate it and (because its adjustable) provide an enhanced shift action. !electronics, sg, race, fire, blade, cbr 1000 r, 2017, 2018, 2019, 2020, 17, 18, 19, 20!